When it comes to beauty boxes, there isn't many out there that have impressed me and I've tried my fair share. However, Love Me Beauty never disappoints me and every month, I look forward to my box of beauty treats arriving in the post. 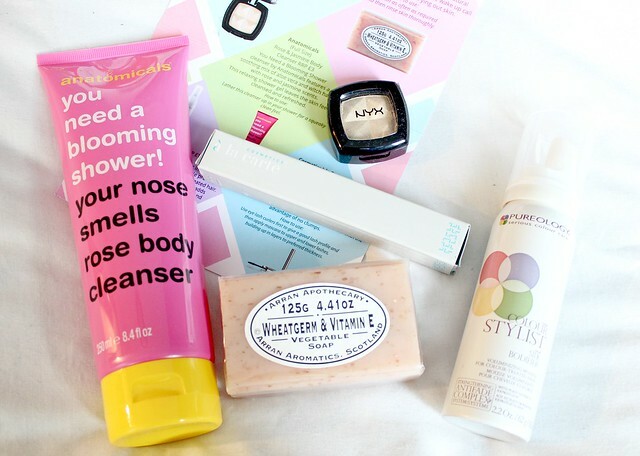 If you've never heard of LMB, its a monthly beauty box subscription with a difference. Unlike traditional beauty boxes, LMB gives you the choice of three 'menus' each month so you can pick your favourite and ensure you'll be chuffed with the items you receive. However, if there's a month when nothing takes your fancy, you can simply skip a month. I think this is such a great idea as it means you'll never be left disappointed by the contents of your box. I'm a big fan of all the NYX products I've tried so far so I'm excited to give this eyeshadow a try. 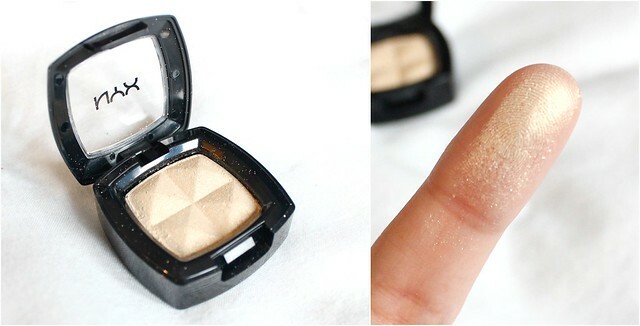 Its a pretty champagne/gold shade so I think it will make a lovely base shade and it could even be used for brightening the inner corners of my eyes! I gave this soap a try as soon as I received this box and its absolutely lovely. I love the fact it contains oatmeal particles that gently exfoliate the skin as well as containing Wheatgerm and Vitamin E which cleanse and smooth the skin. A good all rounder for the bath or shower and it smells yummy too! Although this product is essentially a shower gel that's cleverly branded as a 'body cleanser', I was still happy to see it in my box. Yes, shower gel isn't the most exciting product in the world but it is an essential and this huge bottle with last me a really long time. I think the packaging is really cool as well! This is the product I'm most excited to see in this months box as I love using mousse in my hair and this one promises to infuse hair with volume, shine and softness. 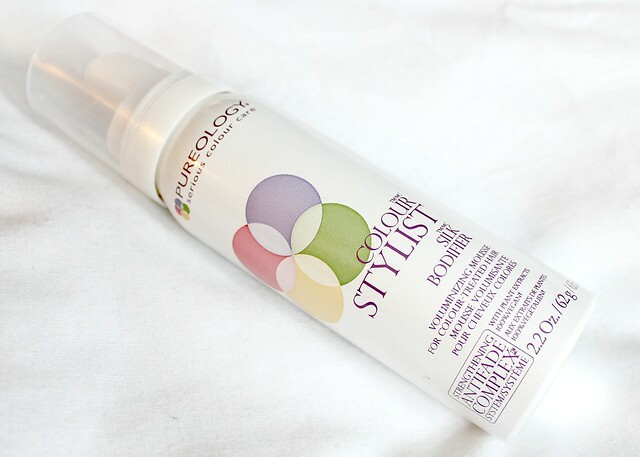 I also like the fact its designed for colour treated hair to keep it looking bright and fresh. As someone with bleached hair - its exactly what I need from a styling product! Receiving this product was perfect timing for me as I've actually just ran out of all of my other mascaras. I normally have a few on the go at once and they've all just come to an end - typical isn't it? This one is from Cosmetics a la Carte which is a brand I've never heard of before but considering it retails for a whopping £23.00, I'm hoping for good things. What did you think of this months Love Me Beauty box? Have you tried any of these products? that nyx eyeshadow looks gorgeous! oooh this box looks lovely! such goodies!! :) that nyx eyeshadow looks amazing! Oooh I like the look of the soap - I have a thing for natural soaps! 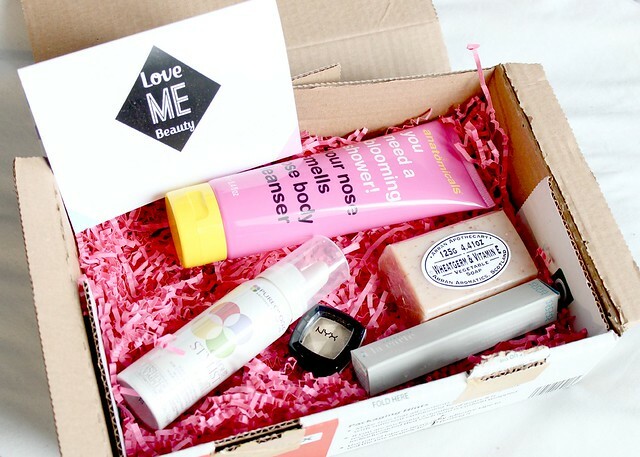 Wow, this Love Me Beauty box looks fab, definitely going to go and read up more on it! All products look fab! Maybe a review of the mascara sometime? 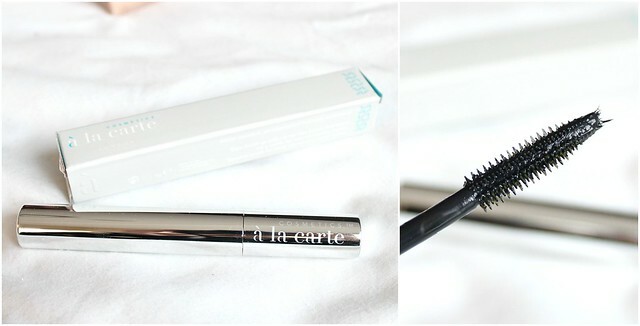 I'm always on the lookout for a better mascara.. None so far have really taken my fancy! Check out my post on drugstore staples and supplements for clear skin. The NYX eyeshadow looks lovely! It's quite glittery and shimmery but I can see it looking really good! I've been debating for a while whether to try out this beauty box as I've found GlossyBox and BirchBox to be not that great the last few months! Looks great! X.
Wow! I have never heard of this box before but I really like the sound of it and how you can have some choice. I used to get a glossybox every month but they never really wowed me so I cancelled. Thanks for this. I am a real fan of the idea behind this particular box - It's nice to see a service try to make sure you will never be disappointed! I am also not a huge fan of the body wash (I personally dislike the design :/) but all the other items look fantastic! Enjoy your new products! i love the NYX eye shadow shade! 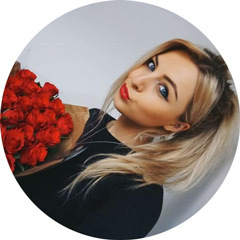 I'd like to try out the Love Me Beauty subscription box! I am SO tempted to try this. It looks much better than my BirchBox this month! this is amazing!! i am so going to sign up!! I love your reviews of these boxes! I love how you can get an option on what products you received. I also love the fact that you used "chuffed". Ohhh I wish some more of that british talk would make it's sweet way over the pond! I've never heard of this box before but it sounds awesome! Do you know if it is available in Australia? I'd definitely be getting my hands on next months! The NYX product looks so nice as a shadow as well as a highlighter. I am not subscribed to any beauty box, but the Love Me beauty box would be one i would be interested in. I need to try that Anatomicals brand. It always catches my eye on ASOS. This looks like a great box! 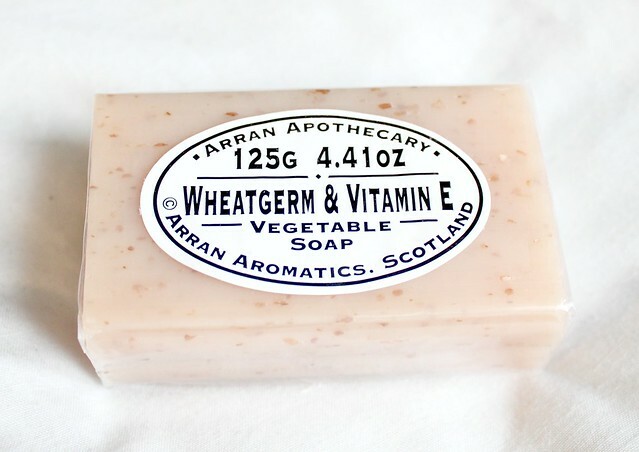 The Wheatgerm and Vitamin E soap sounds pretty incredible!